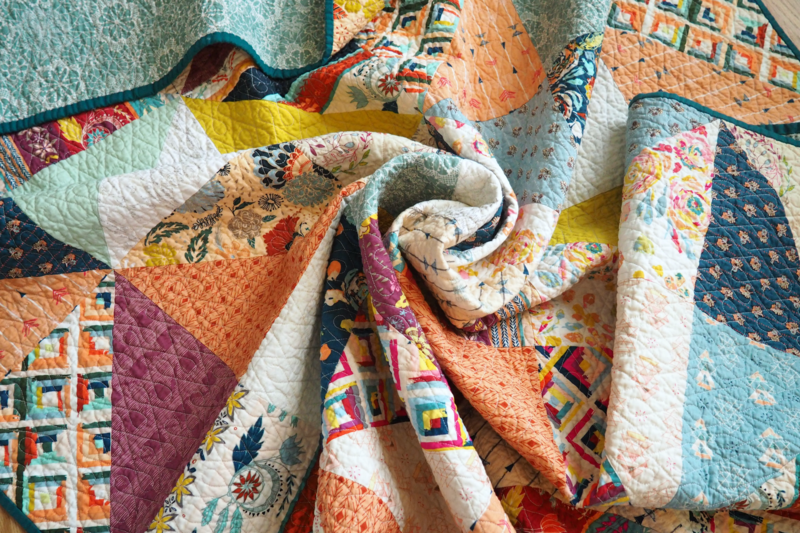 Reminiscent of classic vintage quilts, this scrappy quilt was designed specifically for my mother yet happened completely by accident. 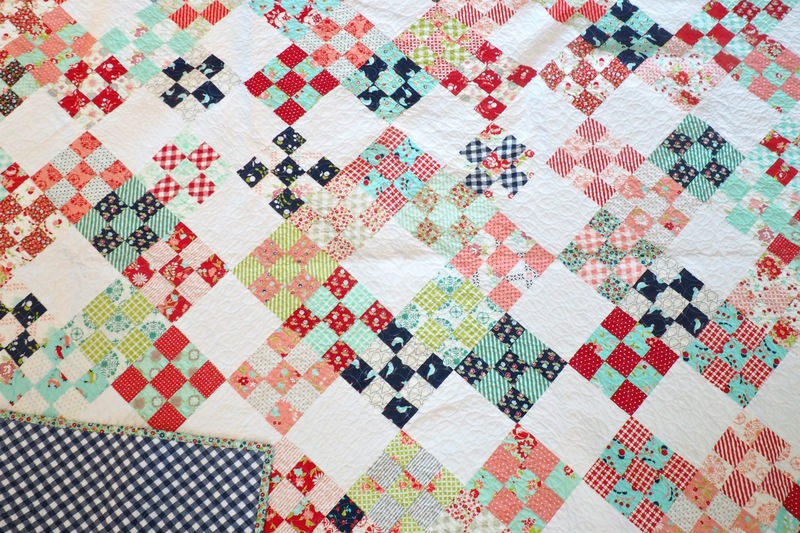 This quilt was an unexpected color-splosion that taught me to branch out of my comfort zone. 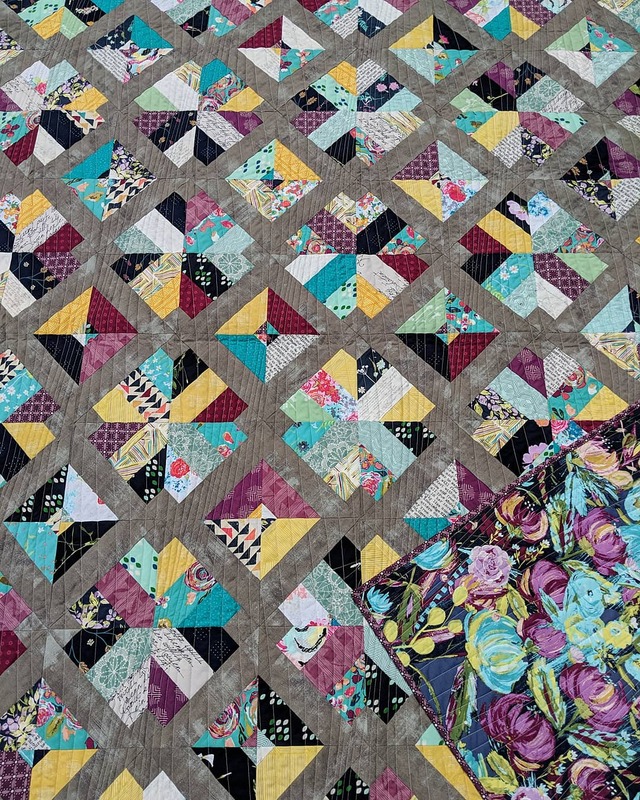 My long term personal project – a La Passacaglia English paper pieced quilt in Bonnie and Camille. 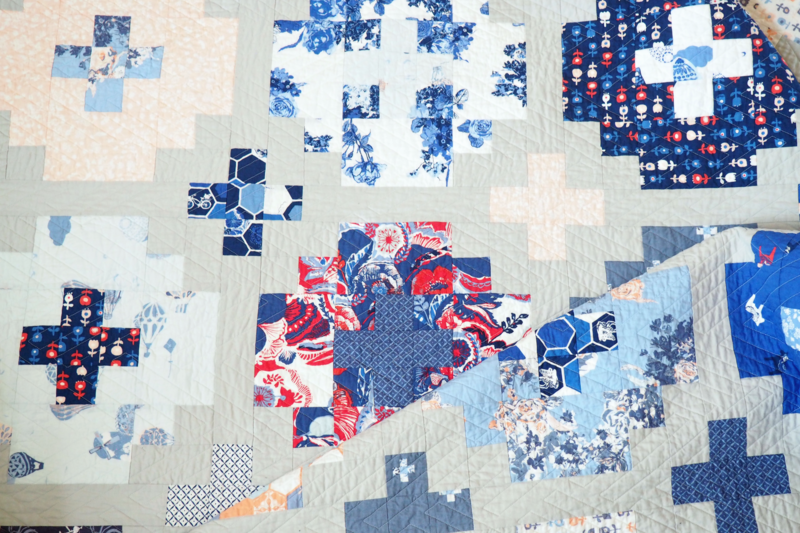 A successful arranged marriage between InBlue fabrics and the Cross Tiles pattern. 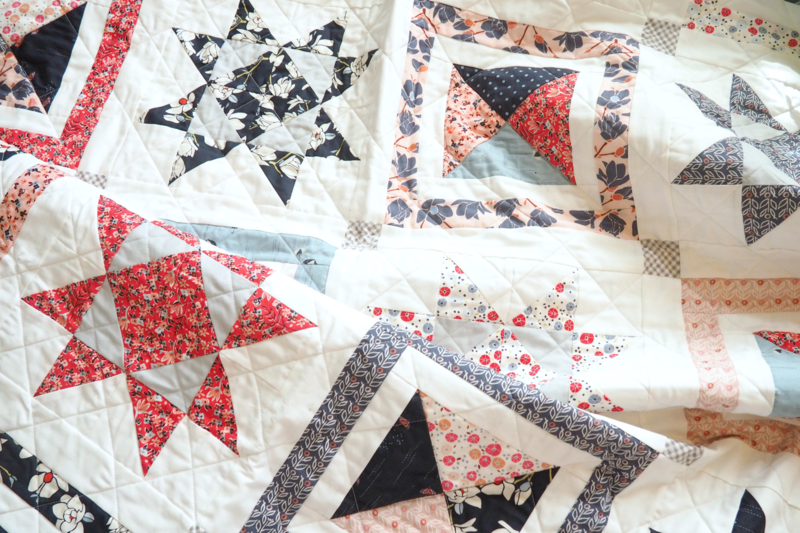 My first personal quilt that now lives with my Grandma – find the free pattern here! 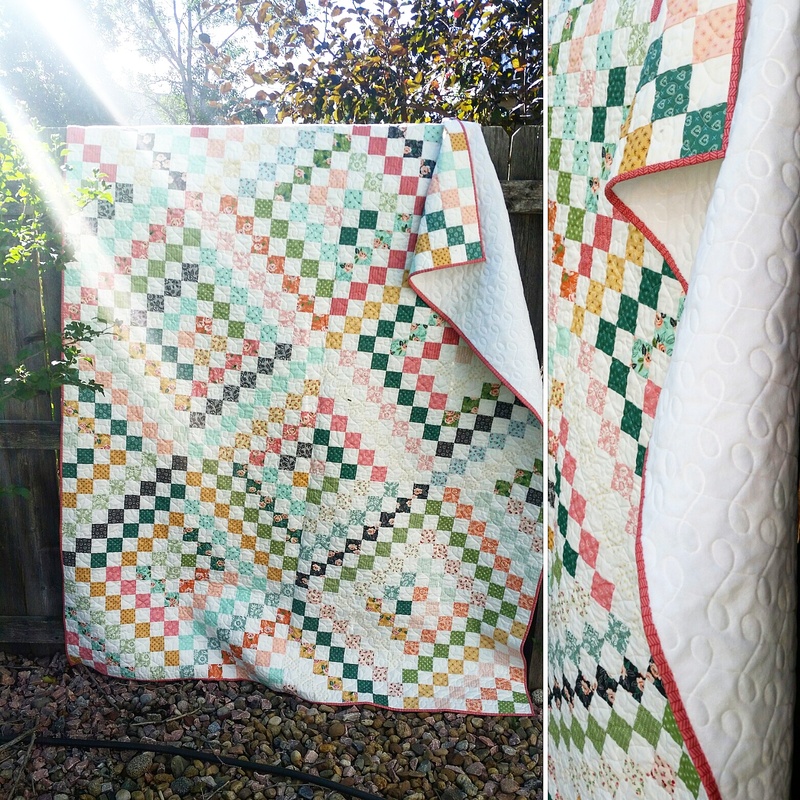 The quilt that didn’t want to be sewn – a gift for my sweet and sassy sister. A handmade trade! 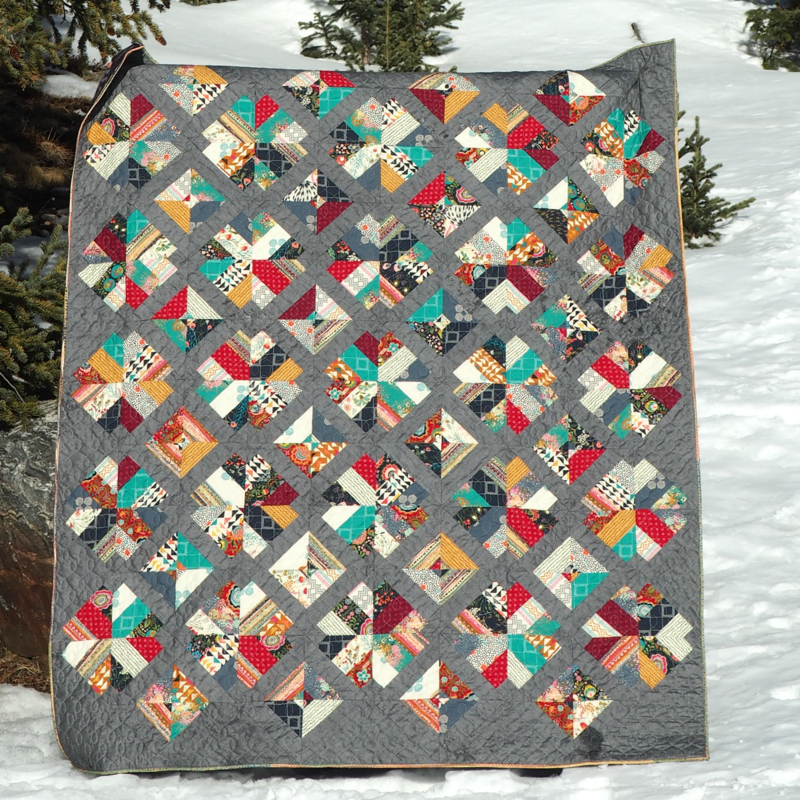 A Niner quilt for a herringbone coffee table – one of my most treasured gifts. 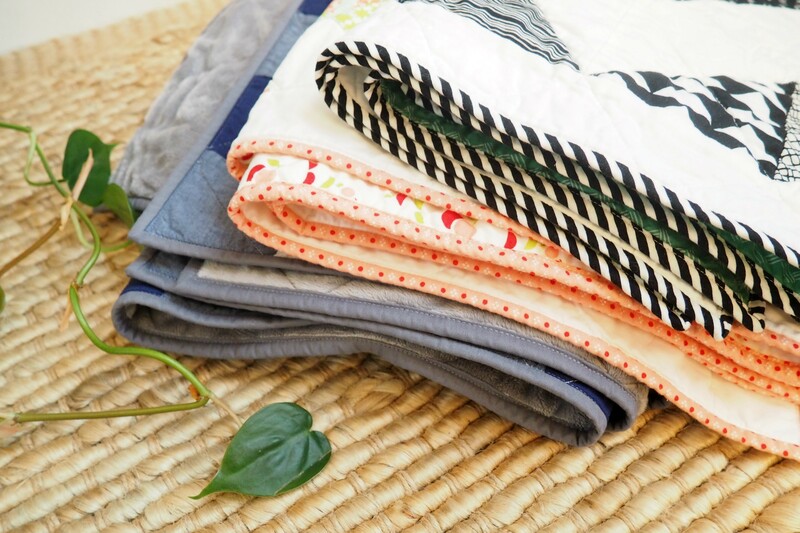 A collection of baby quilts from 2017. 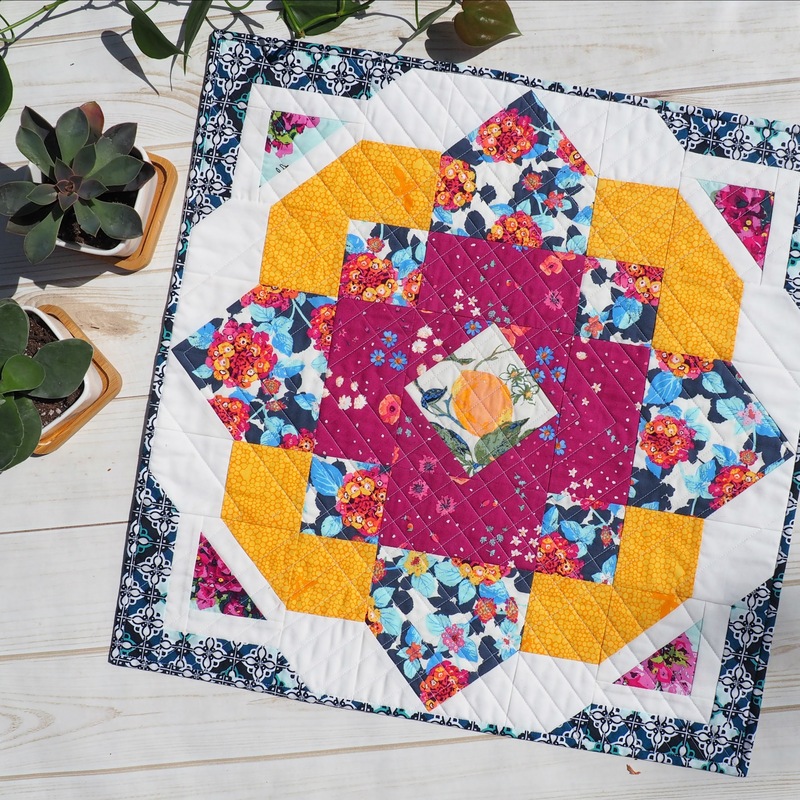 A scrappy jelly roll, fat quarter, or fat eighth friendly pattern! 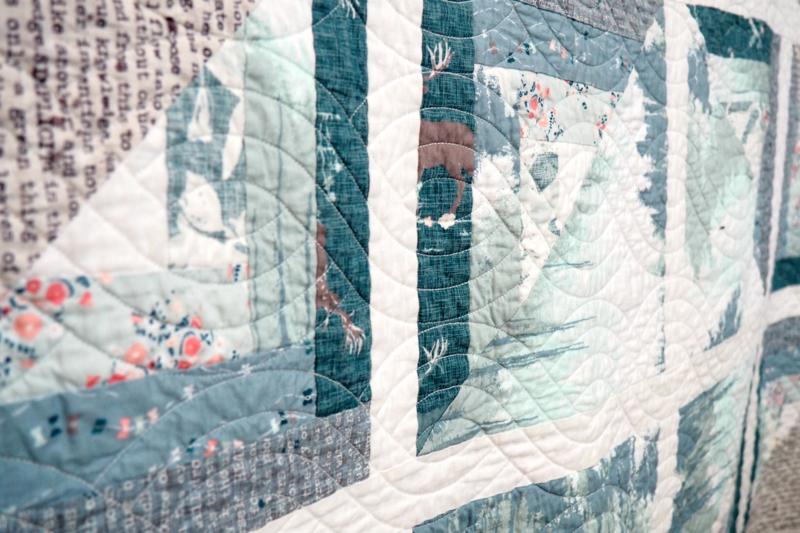 One of my very favorite quilts, ever. 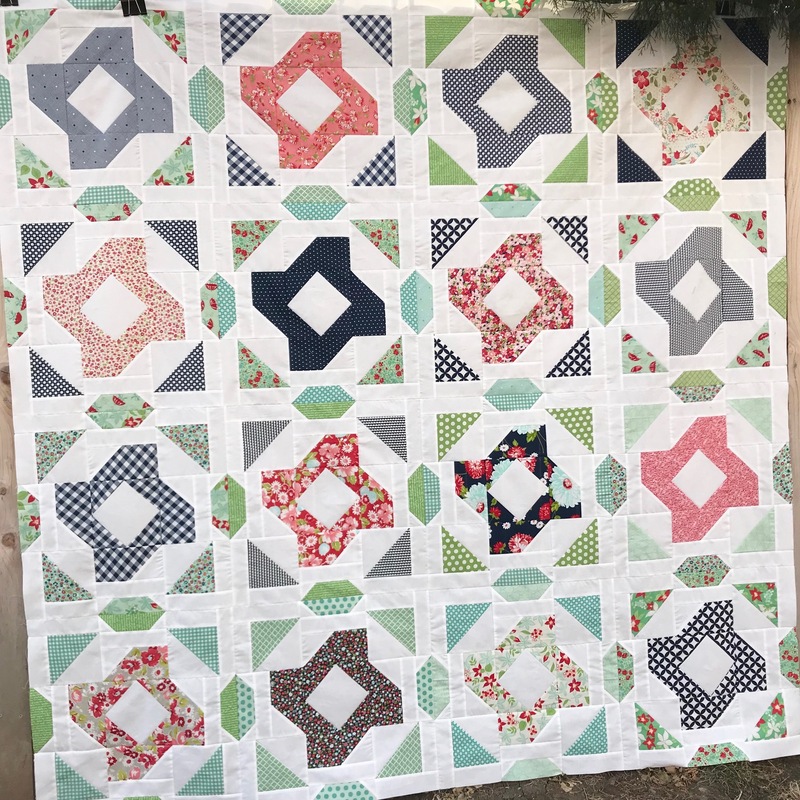 A collaboration charity quilt with my friend and quilty mentor, Becky, in honor of her best friend. 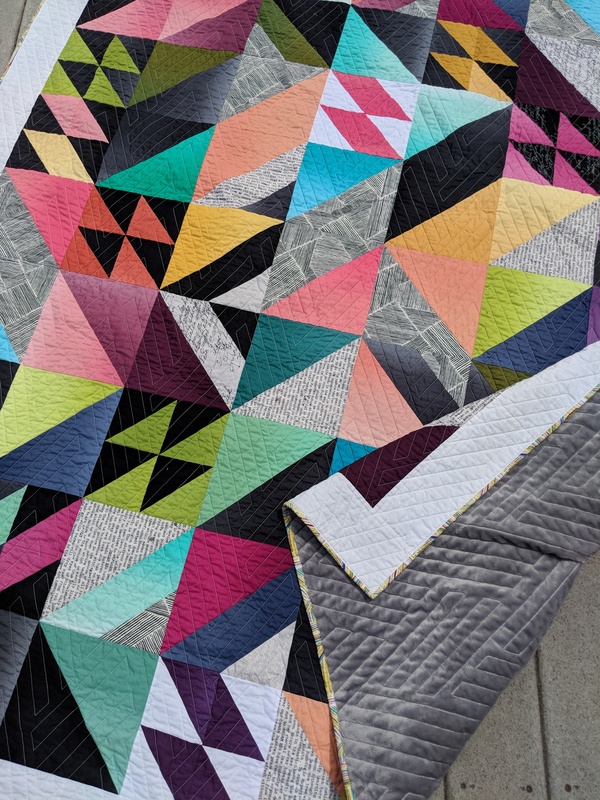 A particularly rebellious Rebel quilt in V and Co ombre fabrics. A Wild Soul made from all my favorite fabrics! 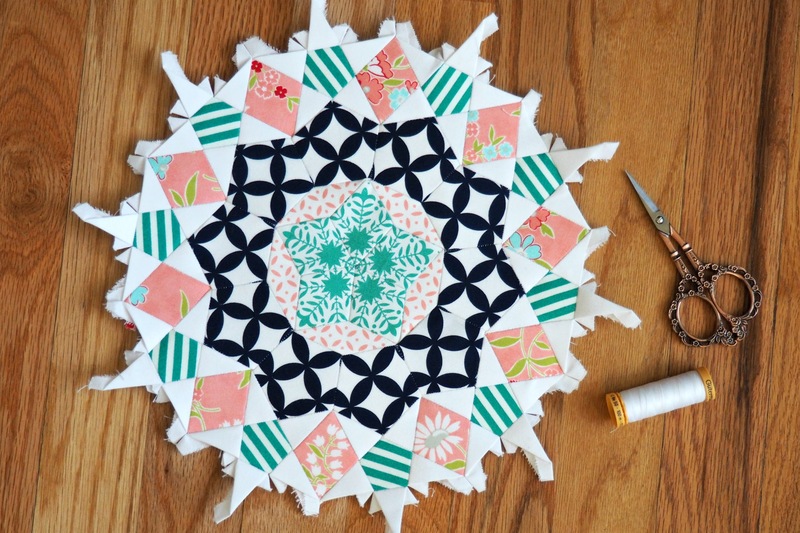 Mini quilt pattern for a quick weekend project! 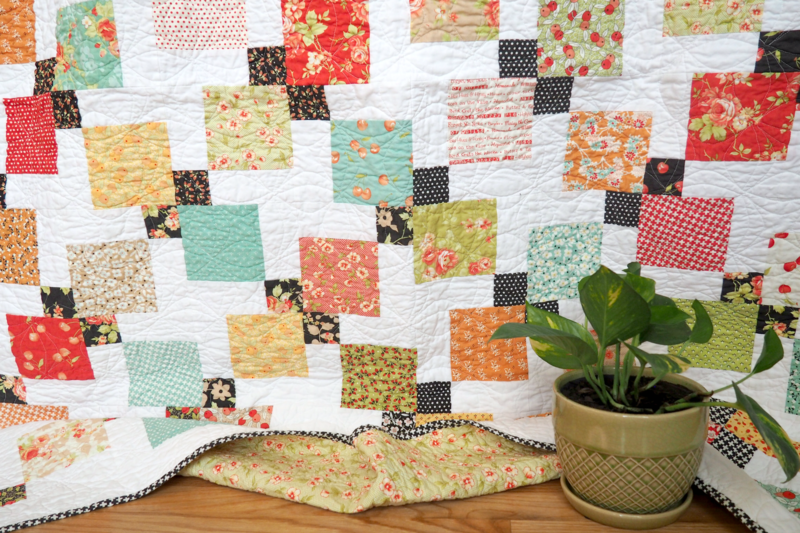 Designed to feature your favorite fabrics with large, uncut areas and fun details like a fussy-cut friendly center.